Our Day Habilitation services are a bridge to the community and employment for people with intellectual and developmental disabilities. 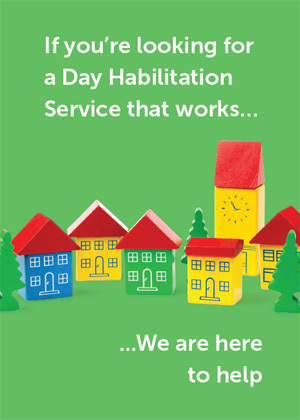 We serve people with diverse needs and interests and offer expertise and focused services in many areas. People with complex medical or emotional needs, individuals on the autism spectrum and others enjoy the support of a well-trained team. A comprehensive assessment helps ensure that each person gets the services they need to maximize their chance of employment and involvement in the community.